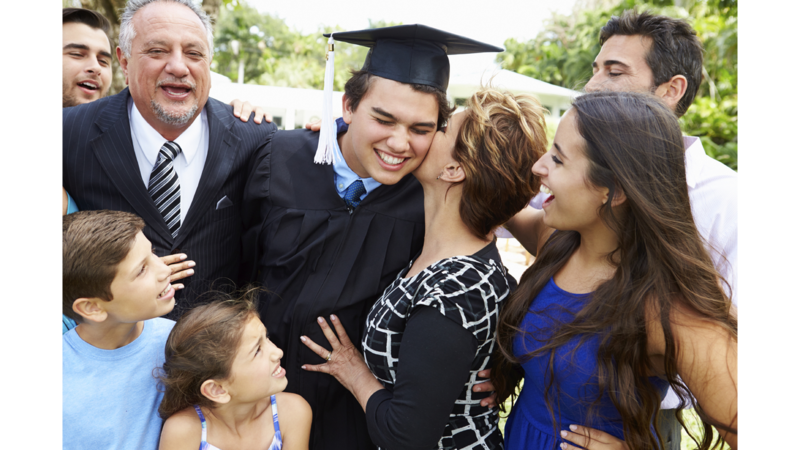 How Can Families Support College and Career Success? Thanks to the collaboration of the early childhood community, K-12 schools, universities, foundations, nonprofits, media, and businesses, Indiana is beginning to move the needle on providing information to families in ways that are responsive to the diverse needs of our Hoosier families. Even with these gains in successful collaborations, there is still plenty of work to do in getting the right information at the right time, and in multiple ways, to all families so that their children graduate on time with the skills needed to be successful in postsecondary options. Conversations about college with young children can be as simple as mentioning the different things that people with college degrees can do. By middle school, eligible children should be encouraged to sign up to be Twenty-First Century Scholars and parents can begin to explore college-prep courses. While my children are grown now, I still remember how stressful it was to decide when and where to get information to support them. This still seems to be the case for many families. In a study implemented for the Indiana Youth Institute, The Indiana Partnerships Center gained feedback from over 650 families throughout Indiana in surveys and focus groups. Parents from all backgrounds shared that they often get confused about where to go for the best information about planning for college. A resource that can help with making timelines and deadlines is an app called, “Trip to College”. http://www.iyi.org/parent-involvemenet/college-career.aspx. This app sends notices through texts to make sure that families don’t miss financial aid opportunities, important test dates, scholarship deadlines and more. The Web is also filled with college-readiness resources that can help you spark your young child’s interest in college and vocational education. Encourage your middle-school child to think about careers and help your high schooler find the right fit and apply for admission. Students and families are exposed to college through college visits and college fairs. Parents are involved in planning and supporting the goal of attending college. Information on required tests and courses, admissions process, financial aid and colleges in the area is available to students and families starting in the ninth grade. There is a college office or other place for students and families to get information, fill out applications and receive counseling on attending college. Visits by community members, graduates and college representatives show students the possibility and value of going to college. The Annie E. Casey Foundation developed “The Three A’s” to help families focus on things every year related to: Attendance, Achievement, and Attainment. Making sure that your child develops good attendance habits begins early. In a study done on chronic absenteeism in 2011 by the Indiana Center for Evaluation and Education and Policy at Indiana University, strong correlations were made for higher dropout rates in students missing more than 10-15 days a year as early as Kindergarten through 3rd grade. Teach your child that attending school is non-negotiable unless he or she is truly sick. Establish a specific family policy with your child about when the child is sufficiently sick to warrant staying home. Get each day’s lessons from the teacher to make sure that a child who has stayed home because of illness does not fall behind. Be sure your child goes to school starting on the first day of the school year – even if it is earlier than you might prefer. Help your very young child adopt good habits by setting routines so that he or she gets a good night’s sleep; has a good breakfast; and arrives at school on time every day. These lead to good habits in middle and high school. Build relationships with other families to help each other out, such as dropping off or picking up children, babysitting or providing translation assistance, in times of need or emergencies. Explore underlying reasons when your child/young adult repeatedly does not want to attend school in order to address possible issues of bullying, lack of self-confidence, boredom or academic struggles you may not be aware of. Keeping track of achievement is the second of the three A’s. Being in good communication with your child’s teacher every year is critical in helping you to better understand how your child’s achievement is progressing. The best home-to-school communication is two-way and ongoing. Monitoring your child’s attainment over time is critical. We live in a very mobile society and our children often attend multiple schools over time. If you have changed schools, parents can make sure that the school has received your child’s records and that their information is up to date. Ask your child’s teacher to explain test and other academic assessment. Finally, a powerful tool for parents is to find ways to help children explore their own interests. Identify non-academic activities, such as drama, art and music that can motivate your child’s interest in school and learning and seek out schools that offer those experiences. The late Dr. Peter Benson, author of “Sparks: How Parents Can Help Ignite the Hidden Strengths of Teenagers,” shares multiple ideas for parents to help their children discover their purpose and passion. This will help guide their education choices to be relevant and motivating. 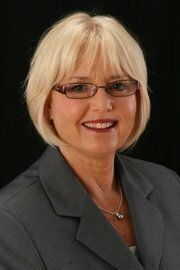 Jackie Garvey, a consultant with JRG Consulting, LLC, has worked collaboratively on behalf of children’s success in education for many years. Under her 15-year leadership, the Indiana Center for Family, School and Community Partnerships developed programs and initiatives to equip parents to better support the educational lives of their children. In addition, her statewide advocacy around chronic absenteeism led to legislation for increased awareness and better data collection for students who miss 10% or more of the school year.